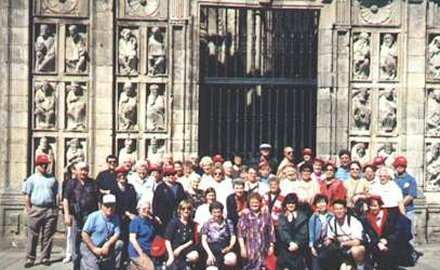 SRI has taken church and synagogue groups to Israel, golfing group trips to Scotland and groups of art lovers on tours of European museums. Whatever your goal and destination, SRI can negotiate the fairest air and hotel rates for your group and make sure your ground transportation is secured before you ever leave home. When SRI plans a group trip, everything is figured in the price of the trip, guides, transfer fees, museum passes, train tickets and usually breakfast and dinner. If you want us to include lunch, we'll do that too. Only your personal purchases or room service fees are extra. Our guides will even help you find the easiest way to get your treasured purchases and souvenirs shipped home.